When determining how competencies will be met in an ELO, map them against the planned projects and tasks. Competencies can span multiple content areas, and the projects can be any size. 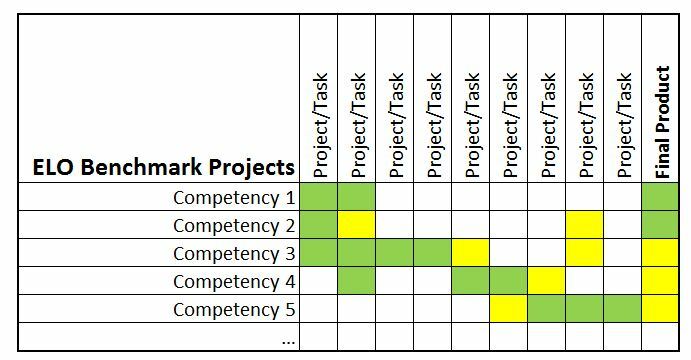 In the sample below, green boxes indicate strong alignment between project and competencies. Yellow boxes indicate a lesser alignment.